Ferrari must not make any “knee-jerk” decisions following yet another championship loss to Mercedes; that’s according to Ross Brawn. 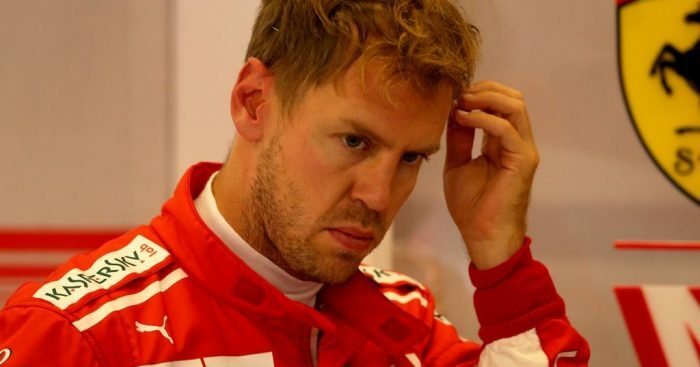 Although the Scuderia with Sebastian Vettel led the championship after 10 rounds, nine grands prix later it was over, losing to Lewis Hamilton and Mercedes. However, Brawn, who previously worked as Ferrari’s technical director and helped Michael Schumacher win five Drivers’ titles on the trot, believes there are a lot of encouragements that Ferrari can draw from this season. “Ferrari and Vettel must start over from here, by understanding what went wrong and improving on it, without panic, and without knee-jerk reactions,” he said. “In just two seasons, Ferrari has once more become a contender for titles, something that seemed difficult to imagine at the start of this hybrid era, given Mercedes undoubted power advantage. “Now Ferrari has to move forward, without throwing any babies out with the bathwater. “In the post-race conference, Vettel seemed dejected and I can understand that. “When the goal you have been chasing all season is definitively put out of reach there’s a lot to regret if one looks back on previous races, what might have been, and what could have been improved on. But while Ferrari are this week nursing their disappointment, Mercedes are celebrating their fifth Drivers’ title in as many years. For Hamilton, it is his fourth in five seasons. Brawn, F1’s sporting boss, was full of praise for the Brit and his Formula 1 team. He said: “To take the title with two races remaining is very impressive, with Lewis supported by an equally brilliant team. “If I had to choose one characteristic that makes Lewis special, it’s his ability to win so many races in which he wasn’t the favourite, as we saw several times this year – in Hockenheim, Budapest and Monza to name but a few. “Of course, he also won those in which he was deemed to be the man most likely to win. “It’s a characteristic he shares with the only driver to have won more titles than him – Michael Schumacher.